Two descendants of wild grasses have profoundly influenced the course of human history: wheat and rice. They are some of the most important cereal grains on the planet. Different cultures have grown up around them, different civilisations. They’ve been bred, genetically modified in the modern age and play an important part of our everyday lives. The way that plants are used by people is the area of interest for our next curator, Olivia Sylvester, an ethnobotanist at the University of Manitoba, Canada. We’re delighted to welcome Olivia (@farmsforests) as curator this week, particularly as Indigenous Day falls this week. We asked Olivia our usual questions to better understand her work, and we’re delighted to be having a scientist at the intersection of science and culture. As a young girl, I was fascinated by science and everything it had to offer; when my friends were reading about Nancy Drew, I was reading Scientific American. I was interested in scientific inquiry because of the cool factor but also because science generated information that can help humans live in harmony with the beings we share the planet with. I started out my career working in Western science (botany) because of its potential to help protect biodiversity and promote sustainability. In addition to working in Western science, I have since learned the importance of using Indigenous science and other forms of knowledge to work toward our world’s sustainability goals. I chose to specialize in ethnobotany after I moved to Costa Rica (I lived in the country from 2006 to 2010); the field originally appealed to me because it allowed me to add in a social dimension to my scientific work. Costa Rica stimulated my interest in this field because there are so many people that live in rural areas and make use of a diversity of tropical plants for food and medicines. After I became hooked to this fascinating field, I learned that this work has many important implications that have sustained my interest. For example, I have spent most of my PhD working with the human rights aspects of ethnobotany; in other words I try to understand what plants Indigenous peoples use. I hope to use these data to support peoples’ human rights to access these plants for their food and medicine systems. 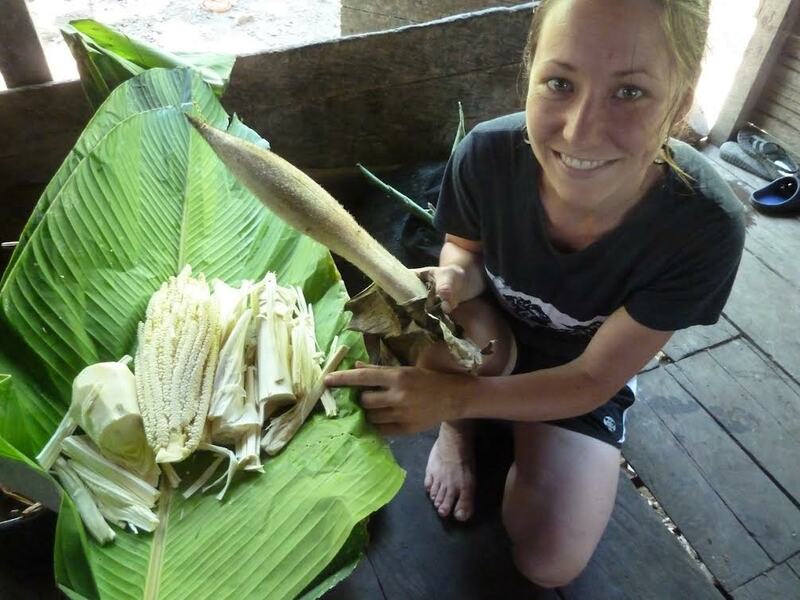 I am an ethnobotanist who specializes in people’s use of plants in tropical rainforests; more specifically, I am interested in how people use wild edible plants and how these people can retain access to these plants in forests that are often not managed for food use. I like to remind people that my work is also important because it links culture to our scientific understanding of plants. I work with so many people who have strong cultural histories associated with plant use; my work highlights the diversity of plants they use but also the key cultural connections. In a world where many of us have become disconnected with nature and where the market economy drives people to leave rural areas and dwell in cities, it is key to give attention to those people who carry important knowledge about our world’s wild plants. My work not only highlights these historical and cultural relationships with plants, my work can be used to ensure people retain their rights to use these plants into the future. I am a beginner salsa dance instructor. I am especially interested in music; I play guitar and I also do Latin dance. My other hobbies include learning languages, swimming, running, hiking, camping, tennis, reading poetry, and cooking. My ideal day off would involve exploring a new area of the world; the exploring wouldn’t be too strenuous, just walking the streets and learning about new cultures, new foods, and histories of a place. I enjoy visiting Latin American destinations but I often just take time exploring towns and sites in my neck of the woods. Please welcome Olivia to Real Scientists! Next story With Stars in His Eyes, James Murray Joins RealScientists!